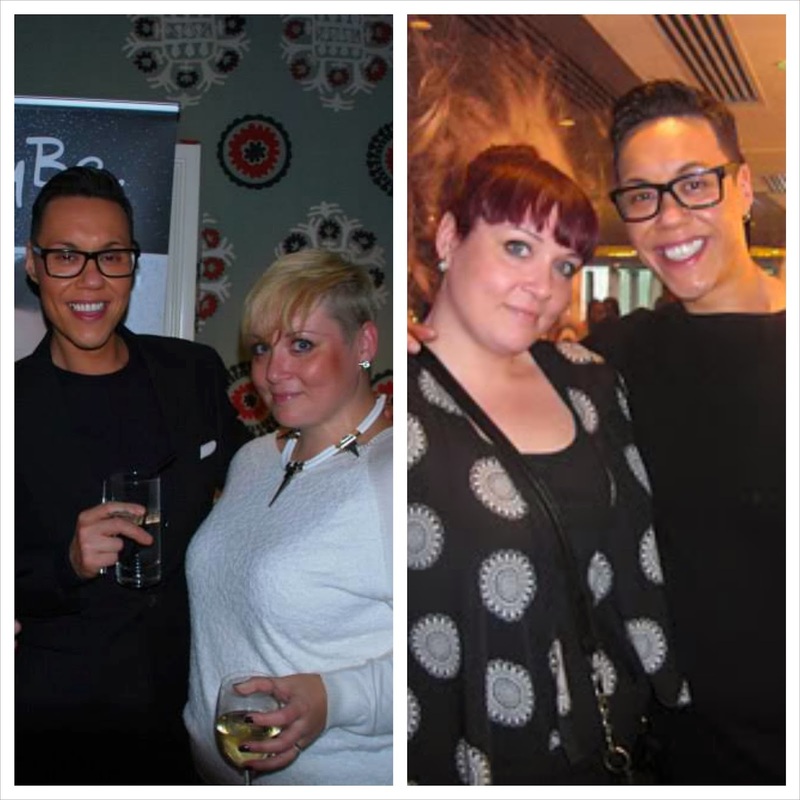 When BeBe met Gok... Again! I've written several gushing intro's to this post about the opportunities blogging has afforded me. All of which sounded a bit cheesy, so briefly... Blogging is ace, I love everyone and all the cool stuff I've been able to do because of it. One of said cool things happened this week. Myself and a wealth of blogging babes got to hang out at the rather posh Covent Garden Hotel in the company of the rather Charming Gok Wan. I've had the pleasure of Mr Wan before (ooo errr) in fact my very first event was with the man himself. Awww look, BFF's now of course.. (YEH RIGHT). 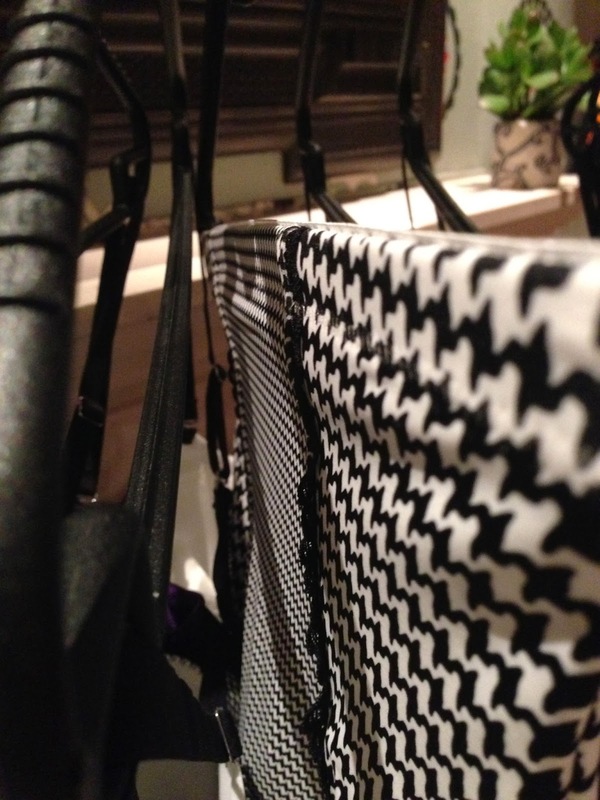 Gok's beautiful lingerie keeps coming back season after season with gorgeous prints and fabrics and this seasons houndstooth is one of my favourites. **Disclaimer** Please bear in mind I was more than a little bit tipsy when I took these pictures, I blame Simply Be to be honest, they should not have plied me with so many drinks!!! Look its Ms SLiNK herself Rivkie Baum!! Gok was an absolute joy, he spent much of his very precious time chatting with everyone, and being very sweet indeed. The Simply Be gang were lovely as always and I fear I very drunkenly chatted poor Charlottes head off for more than is acceptable really. Sorry love. 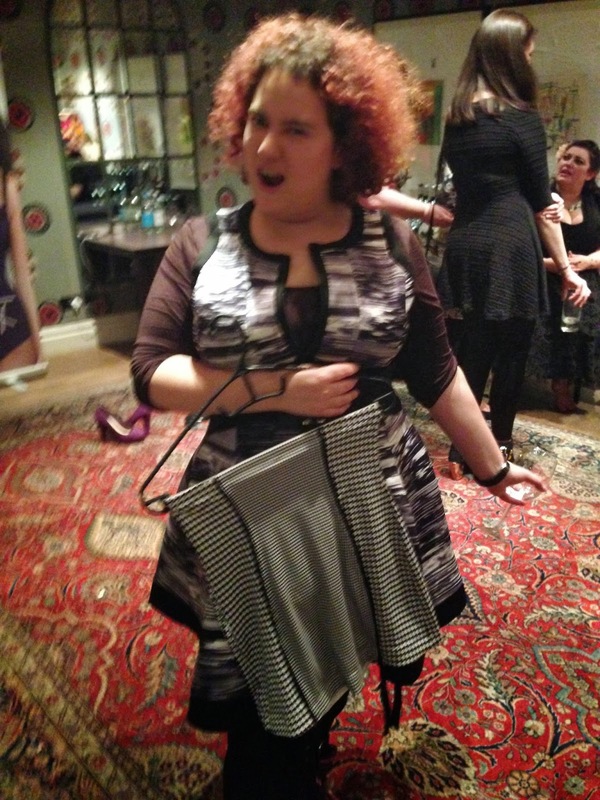 As per usual my blogging babes were on top form. Super babe Danie V and I caused much trouble and at one point were rolling on the floor...?.... Why?? Thanks to Simply Be, all at Label Pr and Team Gok for the fun times!! I'm so jealous. I'd love to meet Gok.